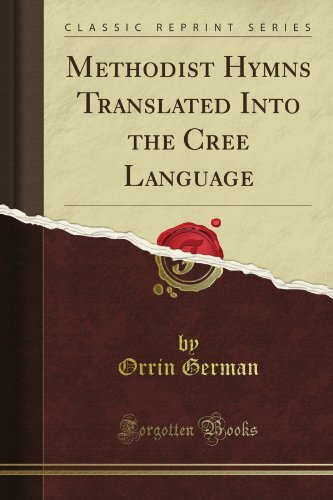 Methodist Hymns Translated Into the Cree Language was written by Orrin German in 1885. This is a 687 page book, containing 94448 words and 365 pictures. Search Inside is enabled for this title.